Decorated veteran Ben Roberts-Smith has denied allegations of violence against a woman and accused media outlets of publishing a “catalogue of lies, fabrications and misrepresentations” about him. One of just three living Australian recipients of the Victoria Cross, the country’s highest military honour, Fairfax Media reported on Friday that Mr Roberts-Smith was involved in Special Air Service Regiment patrols accused of bullying, intimidation and the mistreatment of unarmed Afghans. The allegations are part of an inquiry into SAS conduct by the Inspector-General of the Australian Defence Force and come as it was reported Mr Roberts-Smith had an extramarital relationship with a female lawyer who accused the veteran of an alleged act of domestic violence at a Canberra hotel this year. In a statement issued through his employer Seven West Media, the former soldier said the reports were the culmination of months of “malicious and highly-damaging allegations” that he would vigorously defend. 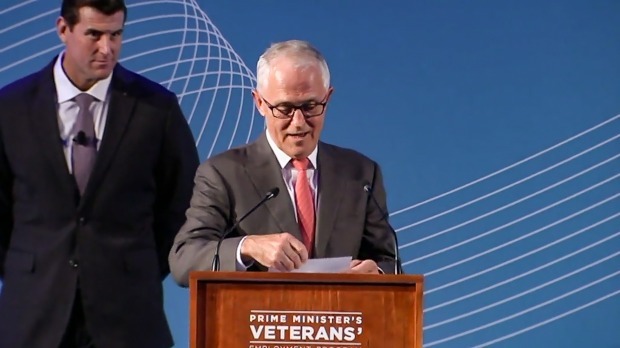 Ben Roberts-Smith with Malcolm Turnbull at the Prime Minister’s Veteran’s Employment Awards in March. “I do want to say today that I unequivocally deny any physical abuse of any woman at any time ever, and that I have not at any stage been interviewed by police about any purported complaint by any woman. “I am deeply troubled that alleged evidence given on oath before the IGADF inquiry has been canvassed in the press and that Fairfax has allegedly accessed it. Mr Roberts-Smith said he would defend each allegation and was confident witnesses would categorically demonstrate they were false. Prime Minister Malcolm Turnbull was asked about the allegations during a visit to Perth on Friday. He appeared alongside Mr Roberts-Smith at a veterans’ employment event at Parliament House in March. “I am aware of the allegations, complaints have been made to the police and they will be dealt with appropriately,” Mr Turnbull said. “Obviously I can’t make any comment on the specific matters because they are being dealt with by the police but I just want to say that we have zero tolerance for violence against women and children. Mr Turnbull said he was being regularly updated on the investigation into members of the SAS by Defence Minister Marise Payne. The Inspector-General is reportedly nearing the end of a two-year probe into allegations against members over conduct during Australian deployments to the decade-long Afghanistan conflict. During deployments to Afghanistan in 2009 and 2010, Mr Roberts-Smith was deputy commander of a small patrol group. He was later appointed patrol commander during his last overseas deployment in 2013. Sources have told Fairfax Media allegations about patrols Mr Roberts-Smith led were being investigated for mistreatment of unarmed Afghan civilians around the conflict. Mr Roberts-Smith is employed as general manager of Seven Queensland. Fairfax Media publishes The Australian Financial Review.